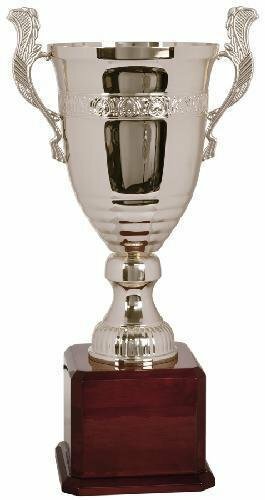 This exquisite cup trophy is available in 3 sizes, and is elegant in its simplicity . 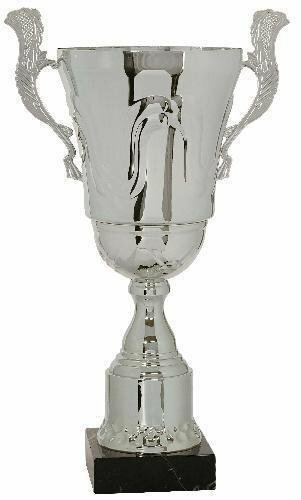 A horizontal ring design encircles the center of the cup, and tiny ridges around the entire cup give it nice dimensionality and visual appeal, while the ornate handles offer shape and texture. 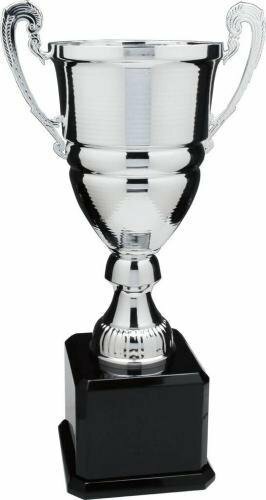 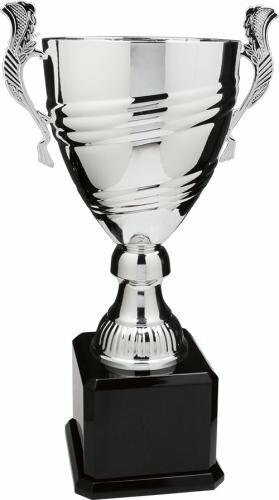 Mounted to a large high gloss black piano finish base that has plenty of room for personalization, this beautiful cup is a stunning recognition of achievement and will be proudly received.